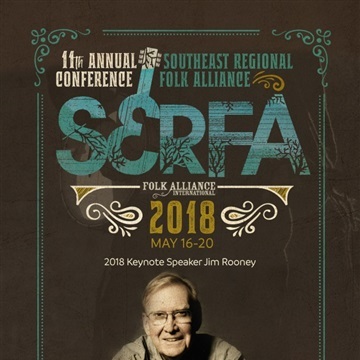 Each May the South East Regional Folk Alliance (SERFA) presents an annual booking conference with 24 artists selected by an expert jury to perform in our official showcases. The conference also features panels and workshops, open mics, group meals, and 34 unofficial showcases. SERFA is the southeastern chapter of Folk Alliance International.